pizzelle (nut-free) | what is clara eating today? Mix all the wet ingredients together and combine well with dry ingredients. Make pizzelle following your pizzelle maker instructions. Great for ice cream sandwiches too! I can’t seem to make these crunchy, any tips for making these crunchy like waffles? 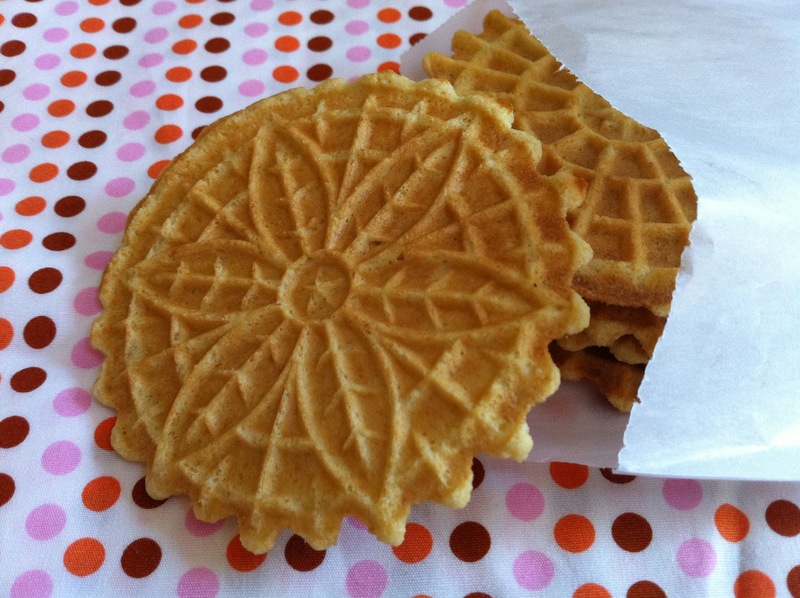 Are you using the mini pizzelle maker? the most I can get from this recipe is about 6 pizzelle and it comes out dark brown so I adjusting the setting on my pizzelle maker. when they first come out, they are soft, but i let them cool on the wire rack and they harden as they cool. since you are only yielding 6, perhaps you are using too much batter for each one? it should yield about 9-12 pizzelles. please try using less batter for each and see how that turns out. these should come out very crispy. i am not sure what size mine are, but they are about 3.5inches in diameter.